The Sixth SmartEIZ Training Workshop on evaluations of innovation policies was held from 21th to 22th November 2017 at The Institute of Economics, Zagreb. The first day of the workshop was followed by various policy makers from Croatia and led to interesting discussions with them about what can be learned from these evaluation studies. The second day was more devoted to a presentation and discussion of various empirical papers assessing the effectiveness of different innovation policies and was also more targeted to academic research. For a detailed summary please click here. 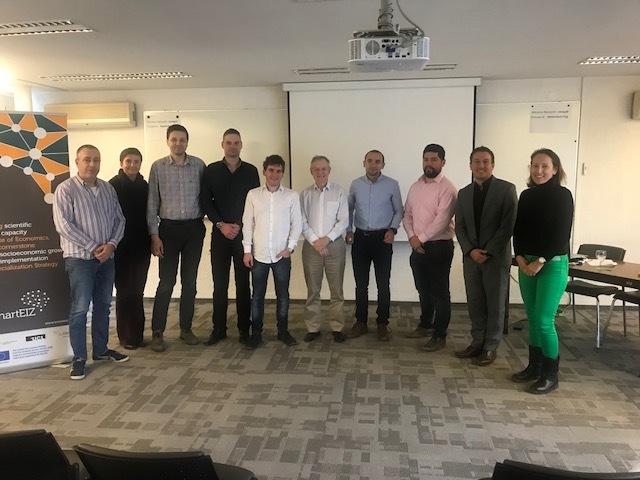 The SmartEIZ project aims to strengthen scientific and research capacity, narrow networking gaps and deficiencies of Institute of Economics, Zagreb (EIZ) in comparison to leading institutions in the field of Economics and Management of Innovation and Technology (EMIT).